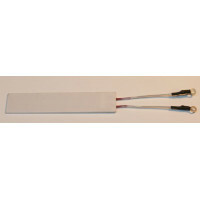 A brand new 70 ohm heater element with thermistor pre-attached compatible with the non switch side of Mk4 GHDs. The heater has small ring crimps on the end for screwing onto a PCB and thermistor has bare ends for soldering. 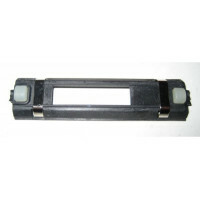 This heater element measures 15mm x 70mm. We recommend these parts as the Beta value of the thermistor is similar to the genuine part to the irons will operate at the correct temperature. A brand new 70 ohm heater element compatible with mk4 GHDs. The heater has small ring crimps on t.. 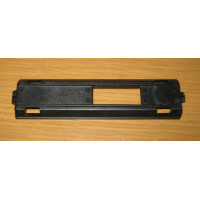 Plastic moulding for GHD 4.0B, 4.0P, 4.1B, 4.2B or 4.2P which holds the ceramic plates in pla.. Plastic moulding for Type 2 GHD 4.2B which holds the ceramic plates in place. This part has s..